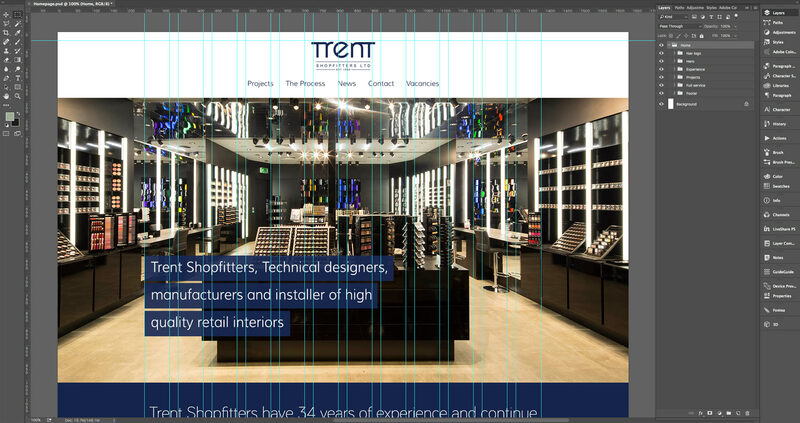 Trent Shopfitters approached us to bring their web presence up to date and inline with the quality of the work they produce. One of the key requirements of the new site was to showcase the high end brands who trust them to house their products in the interiors they build. Trent Shopfitters already had an established brand and so every consideration was made to keep the new website as close to this as possible, without restricting the design too much. The tone of voice throughout was also taken into consideration when placing titles. A point Trent Shopfitters wanted to get across to their customers with this new website was the fact that they could handle a project from start to finish without including 2 or 3 different companies, to achieve this we ensured the ‘The Process’ page was easy to navigate and got across all the relevant information while still being fun and easy to digest.